We all give them, we all receive them, but what makes a good gift? There are wedding gifts, hostess gifts, baby shower gifts, and the endless parade of children’s birthday gifts. 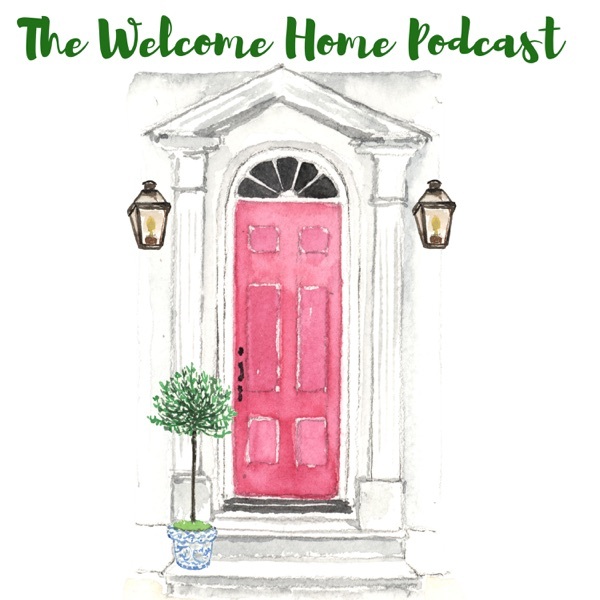 On this episode of the home hour we’re tackling a huge topic and sharing our favorite go-to gift ideas. We learn that Kirsten pretty much sticks to registries whenever possible, but Graham has some standard gifts she always gives. Kirsten explains why her favorite way to package a gift is with a cute tote bag. And we offer one lucky listener the chance to win a $50 gift card to buy their own cute tote bag from one of our favorite online boutiques: Adornlee! See our Instagram account @thehomehour for details! We talk about Kirlkland Wipes, the words most expensive spatula, and the amazing mailbox culture of Graham’s hometown. Links we mentioned on this episode: Marye-Kelly Frames – Precious Frames. They make great wedding gifts & baby gifts. Tiffany’s Atlas Bowl – Graham’s favorite standard wedding gift Adornlee tote bags!- Cute tote bags with fun sayings Sharbat Recipes– One of Graham’s favorite homemade gift ideas Giant Spatula (The original William Sonoma one we mentioned is no longer available, but this looks just like it [...] The post The Art & Science Of Gift-Giving: The Home Hour, Episode 80 appeared first on Life, Listened..